I just finished reading Charlatan: America’s Most Dangerous Huckster, the Man Who Pursued Him, and the Age of Flimflam by Pope Brock, which is a real page-turner. It is one of the better books I’ve read over the past few years. Much of the book reads like a suspense thriller, though it is in essence a biography of the biggest quack in the U.S in the first half of the 20th century, John Brinkley, and his arch-nemesis, Dr Morris Fishbein, editor of the Journal of the American Medical Association and the biggest quack-buster of his time. Born in North Carolina to a poor family in 1885, John Brinkley would eventually become a merchant of patent medicines, learning all the tricks of the trade of this very popular form of quackery. 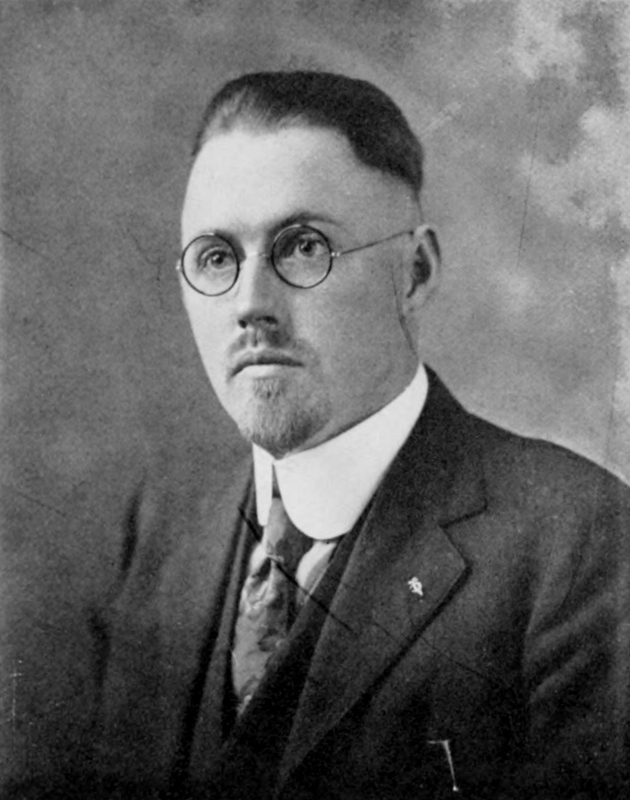 He obtained a phony degree from a diploma mill to pose as a doctor, and eventually made his way to Milford, Kansas in 1917, a small town in need of a doctor. It was in Milford where he got the idea of surgically transplanting goat testicles into men to restore their virility. Brinkley had many satisfied patients and his Kansas clinic flourished. He eventually started a radio station(KFKB) to help promote his dubious treatments, almost single-handedly inventing the infomercial in the process. His charisma and marketing genius brought him even more customers and success. He even started an innovative radio program called “Medical Question Box”, in which he would answer letters on the air from listeners with health problems, and then recommend a specific pharmaceutical treatment(often nothing but colored water). Upon hearing this, many of his listeners who had similar health problems would then purchase the same drug from Brinkley associated pharmacies throughout the Midwest at inflated prices. Brinkley got a cut of each sale, making him a very rich man. Meanwhile, Morris Fishbein in Chicago would write article after article exposing Brinkley as a quack and calling him a “menace”; this had little affect, and Brinkley would continue to prosper and kill some of his patients. Brinkley came close to settling in California, sensing that there was a lot more money to be made there than in Kansas. At the time, California’s salubrious, warmer climate attracted a lot of people from around the country seeking rejuvenation and a better life. It also attracted a lot of hucksters seeking to exploit them. Fortunately, Brinkley’s attempt at obtaining a medical license in California was blocked by Fishbein and others who protested to the authorities. Stuck in small-town Kansas, Brinkley continued raking in the dough, and living a luxurious lifestyle which included a growing number of expensive cars. Fishbein’s indefatigable efforts to get the RTC(forerunner of the FCC) to revoke Brinkley’s radio license finally paid off, and Brinkley was taken off the air. Not long after, Brinkley also lost his medical license in the state of Kansas. What did Brinkley do next? He announced he was running for governor, with only 5 weeks to election day. Though he lost, he came very close to winning; he would occasionally entertain the idea of running for president. Brinkley was very far from defeated though. He relocated his clinic to Del Rio, Texas and operated a radio station just across the border in Cuidad Acuña, Mexico, out of reach from the U.S government. Free of any regulation, he used this radio station(XER-AM), to promote his quack remedies and political beliefs, first broadcasting in October, 1931. XER would eventually produce the most powerful radio signal in the world, initiating the era of “border blaster” radio. On a clear day, the signal could be picked up as far away as Finland. Besides promoting his dangerous treatments, increasingly bizarre conspiratorial political beliefs, and complaining about getting persecuted by the establishment, Brinkley also promoted many early country and blues music performers on his radio broadcasts, like the Carter family. Brinkley was by now a very wealthy man with a large mansion full of treasures, a fleet of expensive cars, and spacious yachts he would spend his summers on. Besides this, he was one of the most famous(or infamous) men in the country, and was popular with the locals since his lucrative practice, trailblazing radio station, and his contributions to civic improvements helped Del Rio prosper during the worst years of the Great Depression. Eventually a competitor came to town, charging a lot less than Brinkley for the same sham procedures. In spite of Brinkley’s popularity and connections, his efforts at driving out this upstart failed, and Brinkley would eventually relocate his clinic yet again, this time to Little Rock, Arkansas. Brinkley’s hubris in his never-ending war with quack-buster Morris Fishbein would eventually lead to his undoing, but I don’t want to spoil the rest for those who don’t know how it ends. Brinkley wasn’t just one of the most successful quacks in American history, he was also one of the most prolific serial killers America ever produced. It is difficult to know how many people he killed with his dangerous and dubious treatments. Many more, possibly at least in the hundreds, were maimed. John Brinkley is a stark reminder of the extreme gullibility of humans when it comes to health matters. Reading between the lines of this book, it’s not just about Brinkley, but is also a powerful indictment of quackery as it exists today. There may be many more laws today to protect consumers, but quackery is very much alive. I see a little bit of Brinkley in some of the better known quacks out there today, who often practice “alternative medicine”, which is what quackery calls itself these days. While they may not be prolific killers like Brinkley, they still prey on the vulnerable, and use the same marketing strategies. All in all, a very educational, enjoyable, and well-written book for those interested in the history of modern medicine, as well as quackery, or who just like to read a true story that vividly portrays what America was like in the first half of the 20th century.